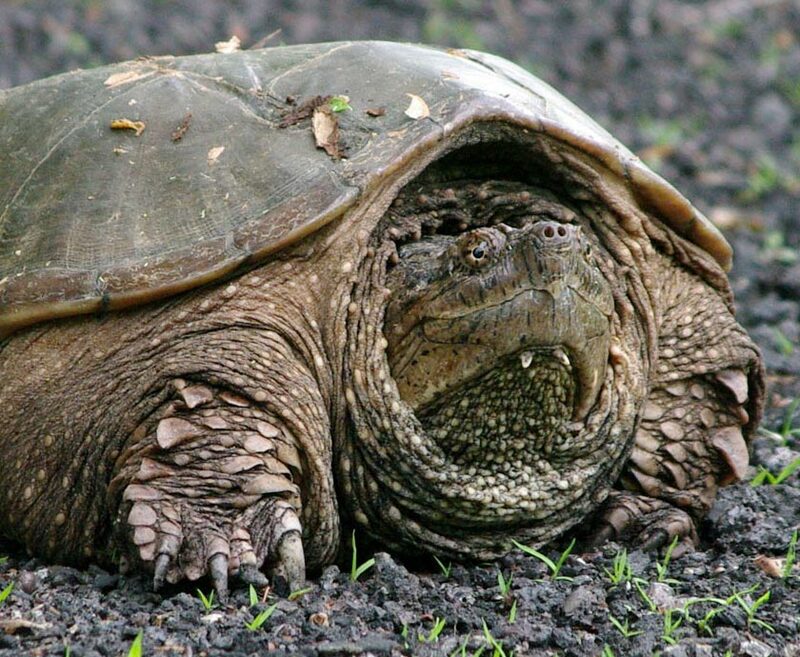 Common snapping turtles are amazing, something out of a lost world and totally prehistoric. Here, at State College, the moms come out of the water one day a year to lay their eggs. This spring, I was lucky and came across four of them. I spotted the first one at a distance. As I came closer, she assumed a cautious pose. 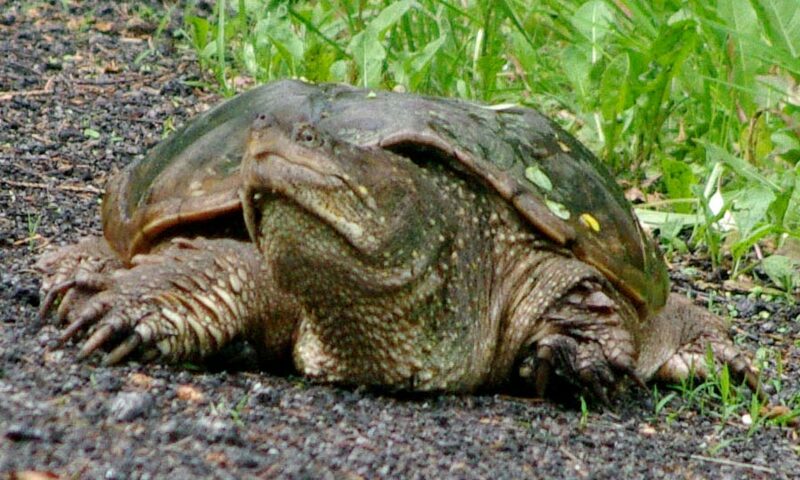 And here she is at her full length, a modest-size snapper. 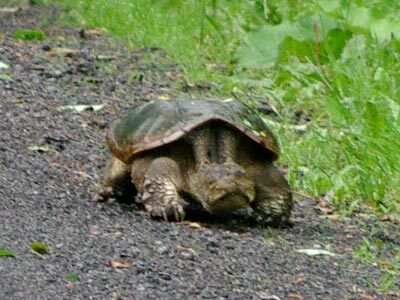 Her shell was about 12 inches (30 cm) long, and her total length would be somewhat over two feet (60 cm). Doesn't she have amazing eyes? Photography note: The photos were taken with a Pentax K20D and the SMC-DA 55-300mm lens in late May 2011.